Popularly known for making the discovery of the fossil of a female hominin australopithecine, Donald Carl Johanson is a paleoanthropologist who was born in Chicago, Illinois, United States. The fossil discovered by Donald was named Lucy and is over 3 million years old. Johanson is a brilliant man who is also quite famous for inspirational and life quotes. He urges his followers and fans to be dedicated to whatever it is that they are pursuing if they truly wish to achieve success. 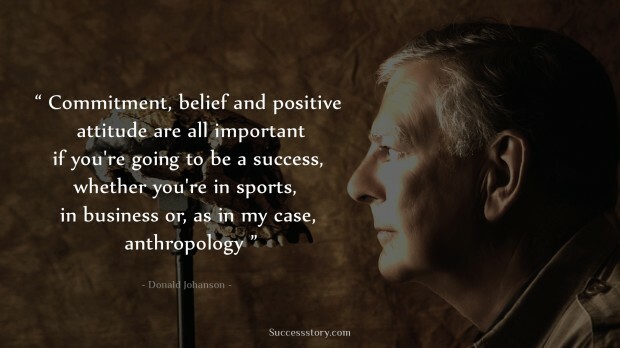 "Commitment, belief and positive attitude are all important if you're going to be a success, whether you're in sports, in business or, as in my case, anthropology." 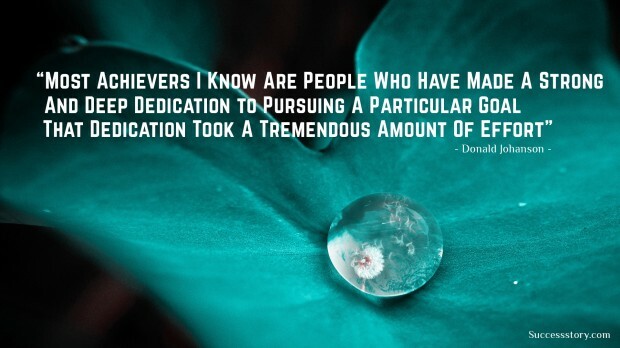 "Most achievers I know are people who have made a strong and deep dedication to pursuing a particular goal. That dedication took a tremendous amount of effort"